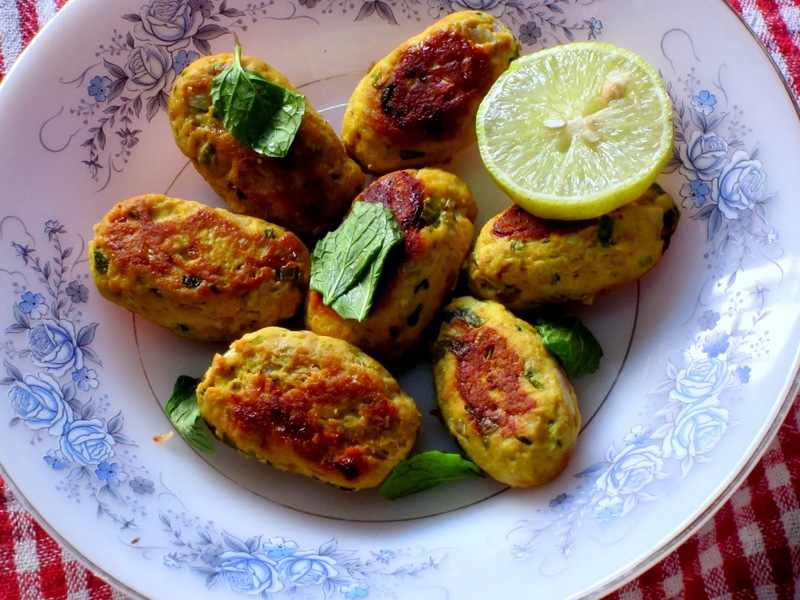 The Tummy Tales: Middle Eastern Meatballs- The World on My Plate series! Middle Eastern Meatballs- The World on My Plate series! Meatballs or Kebabs are usually served as appetizers in the Middle Eastern Mezze Platter. Unlike cutlets, that require a boiled potato to bulk it up; meatballs use just meat and are shallow fried. The trick is in getting meat with a little bit of fat on. This fat is rendered during cooking and gives the final product a nice kiss of fat while helping to retain the moisture. It may also be a good idea to make an extra batch and store in the freezer. Just take out whenever you want them and fry. Hot and fresh!!! A nice helping of freshly ground pepper. In a mixing bowl combine all ingredients (except flour) and mix well so the spices are well integrated into the meat. Refrigerate for about 20 odd minutes. Shape the mince into quenelles or desired shape and fry till rustic brown on each side.